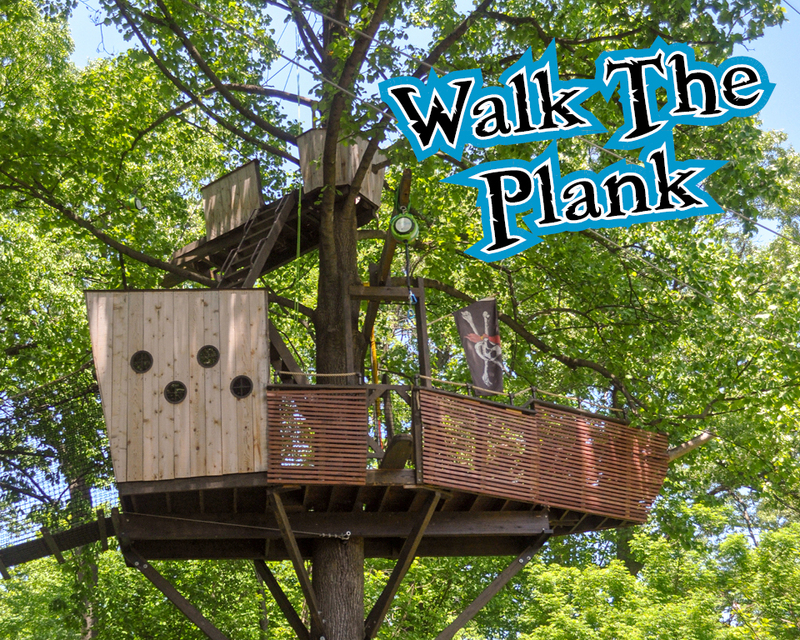 Walk the Plank – Our newest attraction to awaken the pirate in you! A harnessed in, 20’ and 35’ free fall. Weight restrictions of 44 pound min. & 275 pound max. apply. We began construction on the pirate ship during the spring workshop of 2016. We hoisted beams in the air with block & tackle, then lifted the platform up in three sections. The decking was all installed in place. 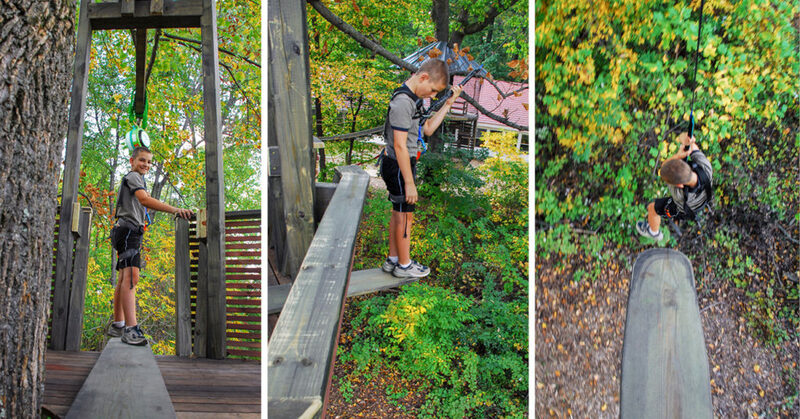 The walls & roof & crow's nest were completed over the summer of 2016, and the Walk-the-Plank activity was completed in the winter. During the spring of 2017, we completed our engineering review and prepared the operations manuals, along with adding some design elements like the flag and sail. Land lovers beware, this be not yer mother's treehouse fer pansies. Ahoy! This monster ship forces minnows t' "Walk ye' Plank" t' th' ground below... fer once ye cross onto that comely wench decks, she gives ye no other choice fer leavin'.